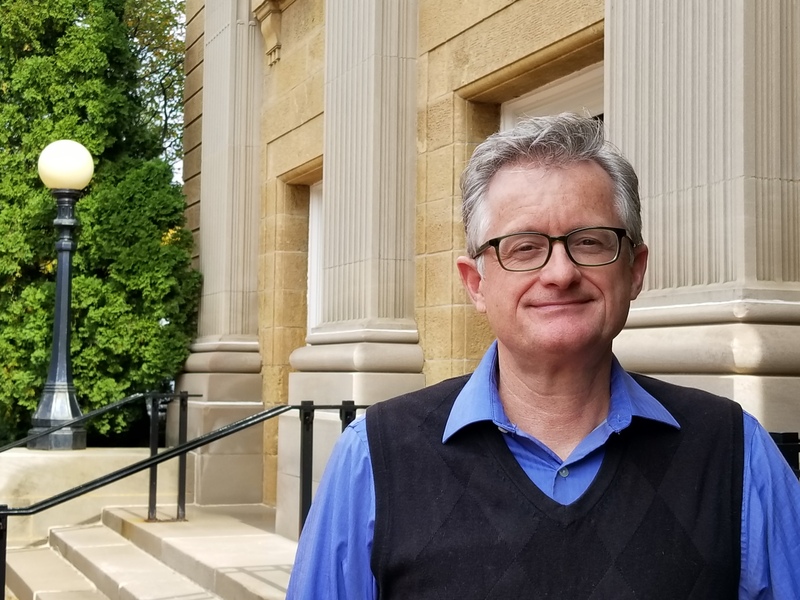 Timothy Walsh has been an integral part of the University of Wisconsin–Madison advising community for 31 years and has served as director of the Cross-College Advising Service for the past 18 years. His passion for a liberal arts education, his values, principles, and his core understanding of the student experience have added greatly to the advising profession at this university and worldwide. During Walsh’s tenure as CCAS director, he has expanded the scope of CCAS significantly. A notable success was securing Madison Initiative for Undergraduates (MIU) funds to expand career development advising and creating a network of residence hall advising offices at the UW. During the past five years, Tim has played a key role in the development of the Office of Undergraduate Advising, serving as a founding member of the Academic Advising and Policy Leaders and helping to shape the development of the Centers for Pre-Health and Pre-Law Advising and the Bioscience Advising Team. Walsh has also served as a consultant to Nazarbayev University in Kazakhstan, leading the charge to share advising knowledge and philosophy with the world. In addition to his many advising accomplishments, Walsh continued to write and publish poetry, fiction and literary criticism. His writing awards include the Kurt Vonnegut Fiction Prize from North American Review, the New Jersey Poets Prize and the Wisconsin Academy Fiction Prize. His book of literary criticism, The Dark Matter of Words: Absence, Unknowing, and Emptiness in Literature (Southern Illinois University Press) appeared in 1998, and he has published four poetry collections since then, most recently The Book of Arabella (Parallel Press) and When the World Was Rear-Wheel Drive: New Jersey Poems (Main Street Rag Publishing). Before he leaves, Walsh took some time to reflect upon his time here on campus. What was your time like here as a student? I first came out to Wisconsin to do my M.A. and Ph.D. in English. I was born in New York, grew up in New Jersey, and did my undergrad degree at Boston College. I had never been west of Philadelphia before setting out for Madison — but my five favorite English professors at Boston College all had their Ph.D.s from UW–Madison! The faculty in the English department and my fellow grad students were all wonderful, but it was probably joining the Hoofer sailing club that really made me love Madison and the lakes. When did you start working at UW–Madison and what was your initial role? After working as a T.A. in the English department for three years, I took a position as a counselor dean in the College of Letters & Science in 1987. Counselor deans were graduate students who worked with the assistant deans in Student Academic Affairs, doing administrative tasks and serving as advisors to undergraduates. I kept this position for five years while I worked on my dissertation, which was somewhat slowed down by the arrival of my son, Andrew. What have been some of the biggest changes you’ve seen in higher ed? Like all major U.S. research universities in the 1980s, UW–Madison was largely focused on graduate education and research. Undergraduate education was seen as a necessity, but not a priority. This began to change in the 1990s, especially under the leadership of Chancellor Donna Shalala. One aspect of this shift was the recognition of academic advising as a crucial element of undergraduate education — and, honestly, that UW–Madison was not doing a good job in this area. Throughout the ’90s, there were big improvements in advising on campus, such as the establishment of the Cross-College Advising Service (CCAS) in 1994. What is something you learned early in your career? As a counselor dean in L&S, I learned how to be an effective counselor, advisor and listener since I was lucky enough to be trained and mentored by Assistant Dean Jack Cipperly, who had a huge impact on students and colleagues during his 30 years on campus. It was largely the example of Jack that convinced me to continue in the field of advising and not return to teaching after I finished my Ph.D.
What are you most proud of during your time at UW–Madison? When I became director of CCAS in 2000, I worked closely with colleagues in Housing to establish a network of residence hall advising offices so we could better serve our students. Working mainly with Cal Bergman and Paul Evans, we opened five residence hall advising offices over the next few years that continue to be a huge success in helping new undergraduates navigate our complex campus and the wealth of opportunities here. When I co-chaired the Council on Academic Advising with Jeff Hamm from 2008-2011, we helped spearhead many improvements in advising on campus, including the creation and adoption of the Guiding Principles for Academic Advising, a visionary document that continues to provide a foundation for the advising community across campus. For the last five years, I have also been involved with the UW–Madison collaboration with Nazarbayev University in Kazakhstan, helping in the establishment of this new research university, providing training and consultation about advising practices and philosophy that is often very different from former practices shaped by decades within the Soviet sphere. This work has been very rewarding — taking advising onto a global stage, helping an emerging democracy build a true research university, including a liberal arts college, founded on principles of academic freedom in a part of the world where this is exceedingly rare. I will miss the daily submergence into the energy of campus and the constant infusion of curiosity and new perspectives that the fall influx of new students brings. I will greatly miss working with my colleagues across campus, working together to make this university the best it can be. I’ve been writing and publishing poetry and fiction for many years, and I look forward to having more time for this. I’ve also recently rekindled my old joy in music — songwriting, guitar playing, and recording — and plan to do much more of this.